As one of the standout games in its genre, Super Metroid has been played and beaten countless times by fans throughout the years. It's a particular favorite due to how it's very friendly to speedrunners and sequence breakers, who discover new ways to get around obstacles and barriers that should technically be impossible to overcome at that point in the game. For those looking for a new challenge, it seems that somebody's finally created something new. What do you think? Would it be possible to beat the whole game like this? Drop us a comment in the section below. I'm gonna have to go with not possible. Sure, many parts can be bypassed, but I'm sure there are others that can't be done. @Discostew you're probably right, the game just wasn't designed like that but...it wouldn't hurt to try, would it? Well, the only bad thing about Super Metroid is its wall jumping mechanic, and beating the whole game using almost exclusively that would REALLY be annoying. I know this much...I'd sure try to beat it like this! Looks fun. Wakey, wakey Nintendo. How blind are you to the desperation of Metroid fans? Why have there been so few Metroid games this decade? No love, no interest, no respect. Presumably retro studio are working on Metroid again but it has been SUCH a long wait that fans are driven to this madness. 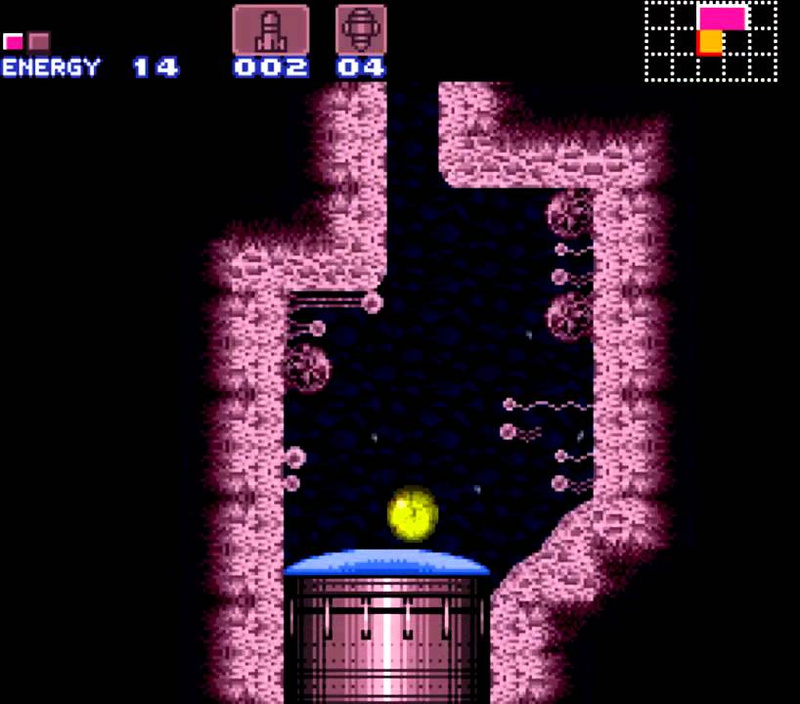 @Krisi I love the way the wall jump is a "hidden" ability in Super Metroid. The game is designed to not reveal the wall jump to the player until later, which wouldn't work if it was easily executed by mistake. Yes, it's a bit tricky to learn, but after some practice it's not too hard to pull off consistently. And it's so cool when you first learn it and realise you had that ability all the time, and the possibilities it unlocks when you play the game from the beginning again. Awesome, makes it feel like a completely new game. Imagine if Nintendo put this at the end of Super Metroid where Zebes get turn on its side. That would be cool to play through. wall and bomb jumps would make this easily beatable up until you get screw attack, and depending which way it was rotated, might make some parts easier. The weirdest thing I ever did was play Super Mario Kart with the contoller upside down. Why did I do this, I was working at a daycare and wanted to give the kids a chance to beat me. Problem was I got too good at it lol. This is weird, but interesting. I don't think you could break the glass tube to access the rest of Maridia so I'd say not possible. Yeah, I can infinite bomb jump just fine, but I guess I would still be worried that some rooms would be too broken. @ennan you can enter Maridia the other way so it could still work out. Guessing not possible just by the choice editing in that video. Still, pretty awesome and got my imagination going! So it's kinda like how Castlevania: Symphony of the Night turns upside-down when you reach 100%... only crazier! A bit underwhelming after the article about the blind guy beating Ocarina of Time, but still pretty neat. @SmaMan Well, that game was designed with that in mind. Super Metroid tilted 90 degrees is not. No ammount of 'creative' shinespark would be able to clear most of the speed boost blocks, so I go with not possible without some additional hacks. Having said that, I still love the idea. @Spoony_Tech My best friend (who owned SMK), used to play like this against me, and still win. @hiptanaka Cleary we all have very different opinions about wall jumping. I've never been able to do it more than 1 in 50 attempts, and it was extremely frustrating when I got stuck in the shaft in Brinstar for hours trying to figure it out.